Happy Thanksgiving everyone! I hope you spent the day with people you love and ate your fill of savory and sweet. 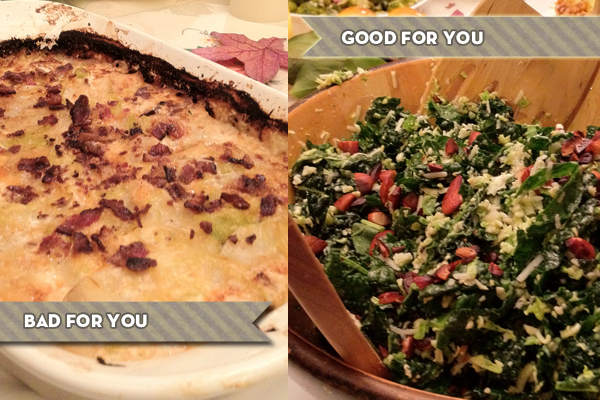 I brought two dishes to Thanksgiving: bacon scalloped potatoes, to take a few years off your life and a kale brussel sprout salad to add some of those years back to your life. Thanksgiving weekend kicks off my favorite time of year… SAMPLE SALE SEASON! The end of the year is when most of the sales happen because designer showrooms and warehouses clear out remaining inventory in preparation of new product, so it is the best time to shop. Bring CASH as that is usually the only thing people accept. It is FINAL SALE, so check what you’re buying and make sure it is what you wanted. So, here’s what I hit up this weekend. The Saturday Sale: This usually happens one Saturday a month but this time of year they have special holiday hours and have opened extra days to help you out for the holidays. Hours are 10am to 3:30 pm. The New Mart: New Mart, like the Cooper Building and the California Market Center, only opens on select occasions. On a regular business day, this is where buyers and fashion designers rendez-vous in order to get the finest designer duds into your favorite stores. However, at the end of the year, the old must go out in order to make room for the next season, so this is the best time to get some great deals. Sample sales are held at The New Mart Building on the last Friday of each month. This is the only time that they are open to the public. Check their website for hours and which showrooms will be open. Happy Shopping! Let me know if you get anything good! Gifts Shmifts. Unique Gifts for your BFFs.